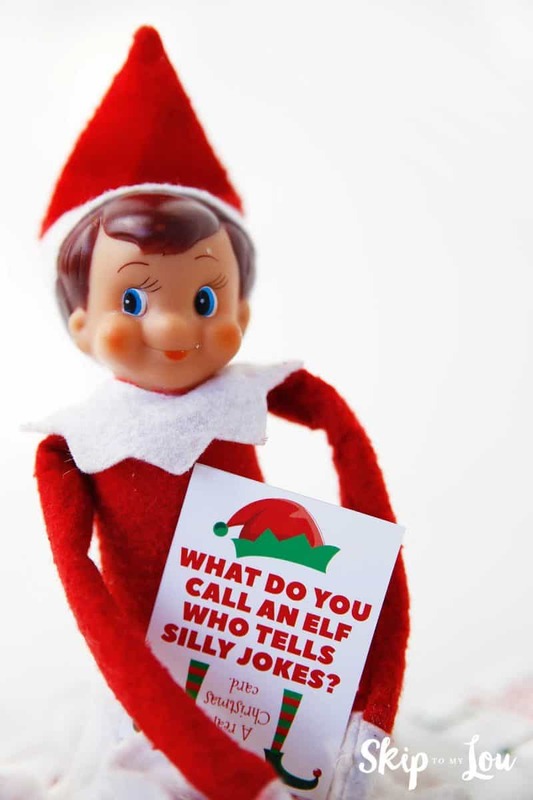 Let your Elf On The Shelf crack your kids up with these Elf Jokes. Free printable cards for your Elf to hold. Elves love not only silly pranks but also Christmas jokes. 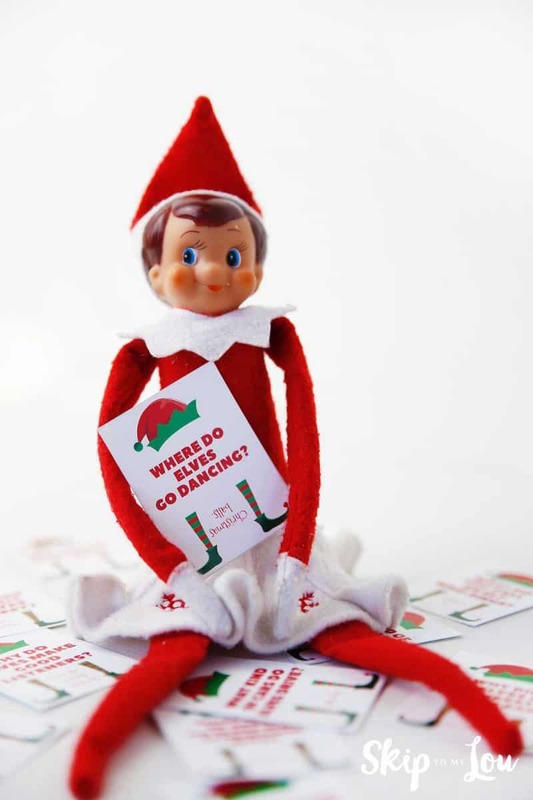 These funny jokes give you another fun Elf On The Shelf idea. 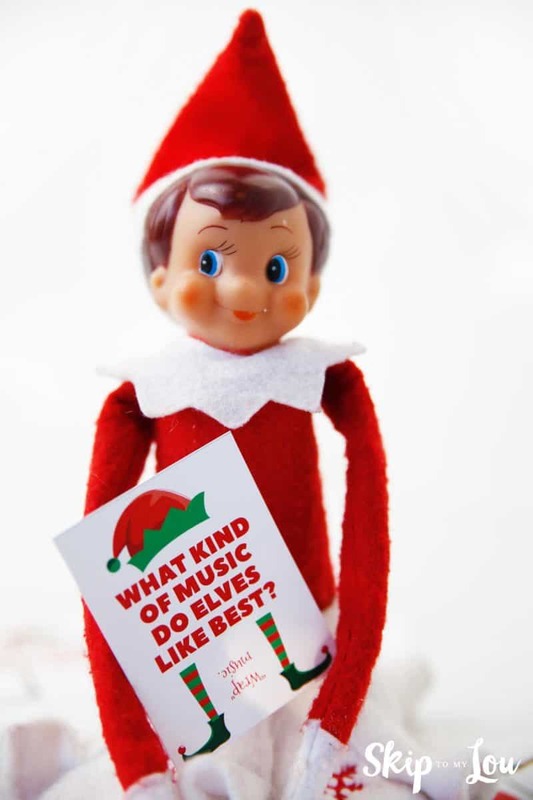 What kind of music do elves like best? “Wrap” music. Why do elves make good listeners? Because they’re all ears. What do you call an elf who’s won the lottery? Welfy. Why does Santa owe everything to the elves? Because he’s an elf-made man. What’s Santa’s tax status? Elf-employed. Why kind of photographs do elves like taking? Elfies. What’s the first thing elves learn in school? The “elf“-abet! Where do elves go dancing? Christmas balls. If athletes get athlete’s foot, what do elves get? Mistle-toe. What do you call an elf who tells silly jokes? A real Christmas card. Why did the elves ask the turkey to join the band? Because he had the drum sticks! 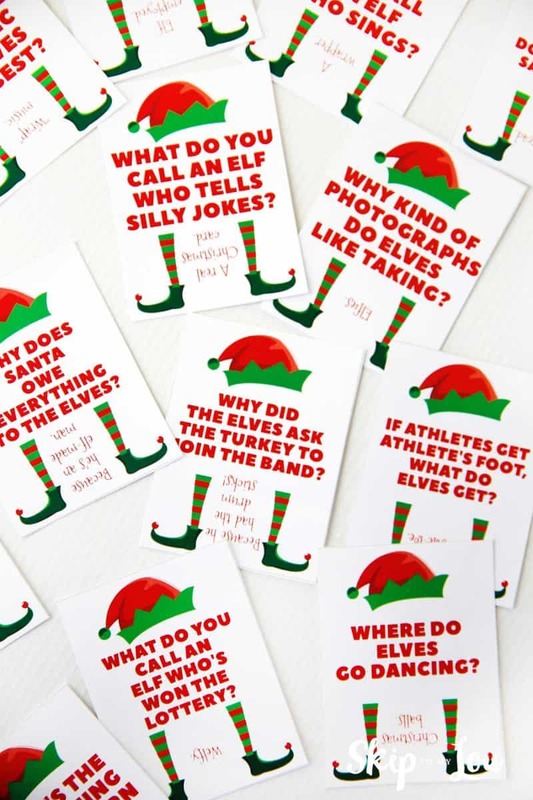 Download these funny Christmas jokes and print on white cardstock in color. You will be ready to slip a joke in your elf’s arms for a laugh. I love this one! Where do elves do dancing? ………… Christmas Balls. Haha! 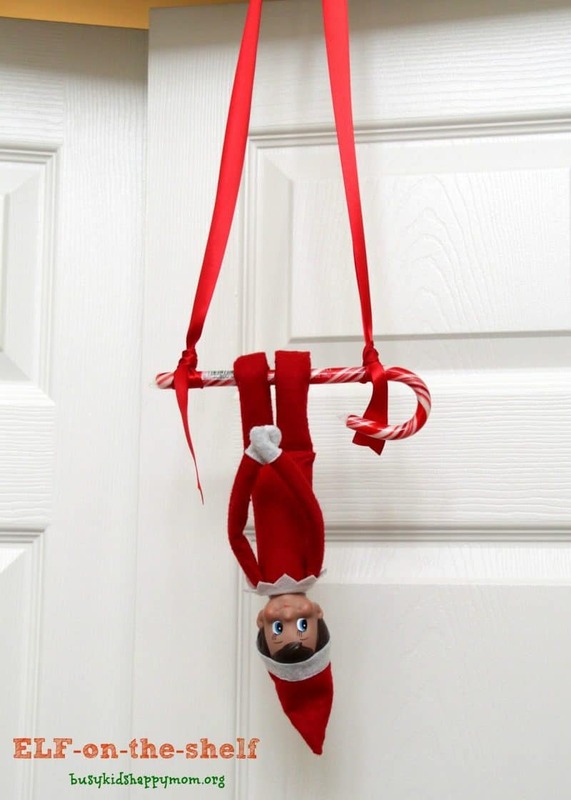 Keeping up with this holiday tradition is easy with all these fun Elf On The Shelf Ideas. From Elf Arrival Letters to daily pranks you will be inspired! 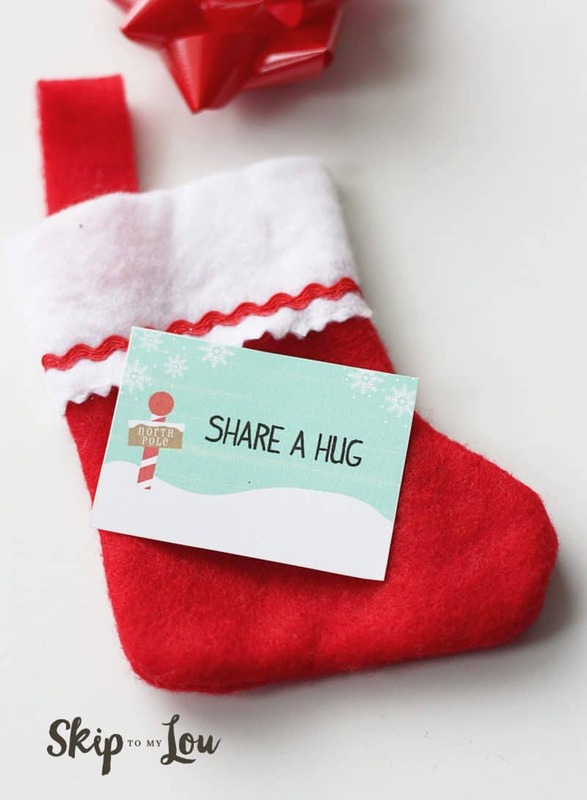 Let your Elf encourage kindness this holiday season. These free printable cards provide a kind act to do each day. You will even find a few cards to let your child know they are doing a good job! 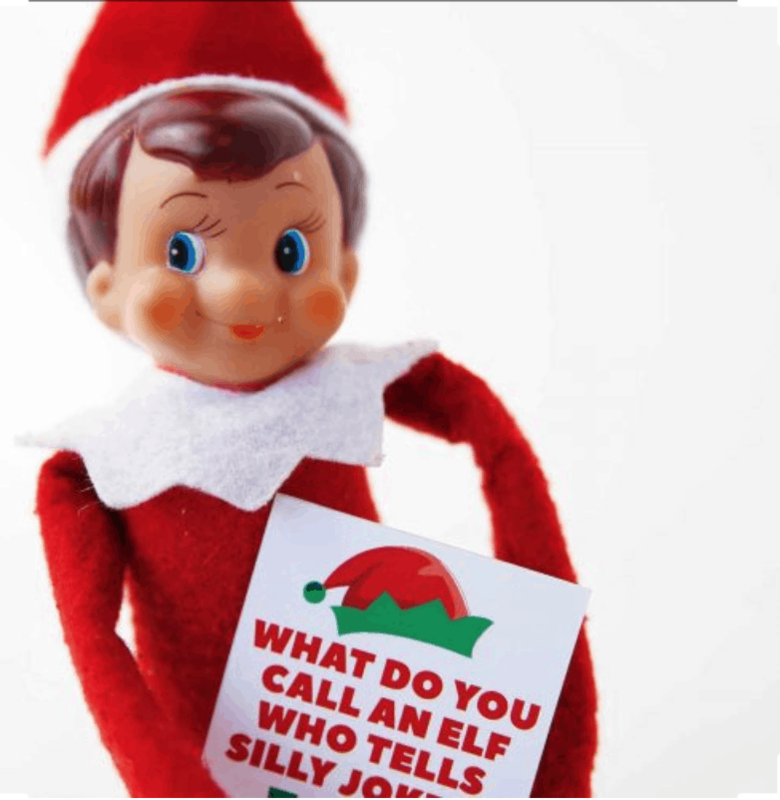 Do you have a favorite elf joke? Please share in the comments. We all could use a good laugh! Thanks so much for this,.....very clever indeed. I'm going to use these as gift tags this year. Its such a unique twist - and I can share it on, too. Thank you! 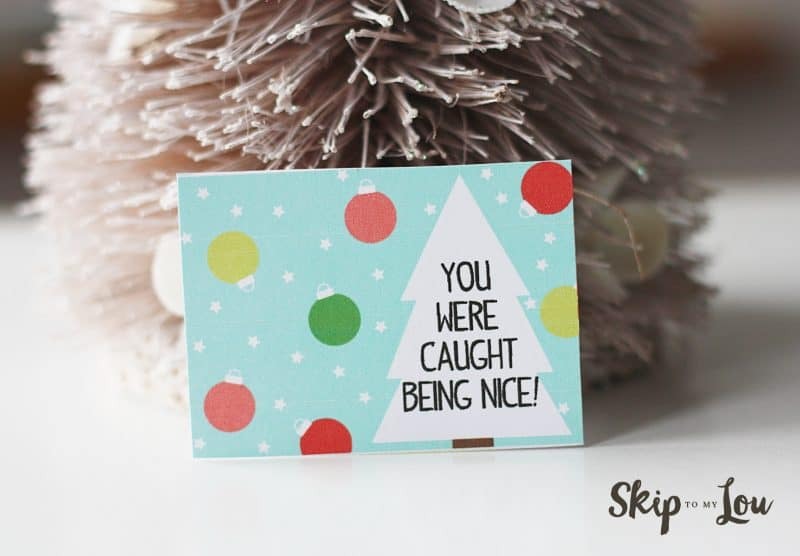 That is a clever idea to use as gift tags! So happy you liked them.